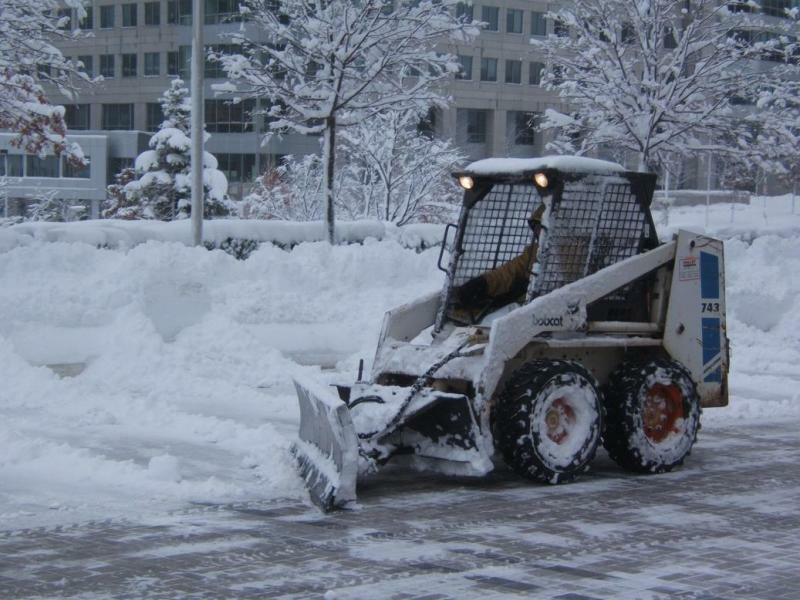 A pregnant New York woman was killed by a snow plow Thursday in New York. Her baby survived after an emergency Cesarean section. A pregnant woman loading groceries in her trunk was killed Thursday by a private construction vehicle removing snow from a supermarket parking lot, officials said. Her baby boy, delivered via an emergency Cesarean section, survived, but was in critical condition. Cops said Min Lin, 36, was with her husband packing grocery bags into the trunk of her car shortly before 11 a.m. when the vehicle, a Bobcat construction vehicle backed into her in the parking lot of the Fei Long Market on Eighth Avenue, near 63rd Street, police said. She was rushed with severe body trauma to Maimonides Medical Center, where she died on arrival, officials said. Cops roped off the lot and the Bobcat S250 that hit the woman. The unidentified driver was spotted in the lot hours later looking despondent. Snow was falling heavily at the time and officials said low visibility could have been a factor. It was not clear if the driver, a 42-year-old man, would be charged.